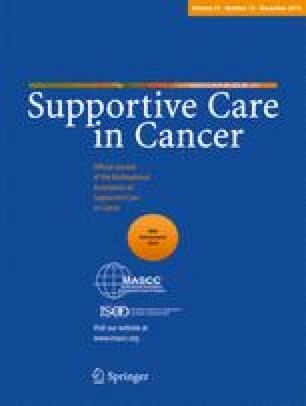 This study aims to adapt the Pictorial Representation of Illness and Self-Measure (PRISM), a practical, nonverbal method with strong psychometric properties, to Spanish and to explore its criterion validity in advanced cancer and palliative care (PC). Of the consecutive advanced cancer patients attending a palliative care consultation, 209 were invited to participate. To examine criterion validity, correlations were calculated between the PRISM, the Detection of Emotional Distress scale (DED), the Edmonton Symptom Assessment System (ESAS), the Structured Interview of Symptoms and Concerns (SISC), and the suffering visual analogue scale (VAS). Ninety-eight patients fulfilled inclusion criteria (mean age, 60 years; SD, 14.25; 57 % female). The most frequent types of cancer were lung, breast, and colorectal. Average time since diagnosis was 30 months (2.5 years). PRISM significantly correlated with the Suffering VAS, the DED, and the SISC. It also showed significant correlations with psychosocial factors such as emotional distress, anxiety, loss of control, and perceived coping and spiritual distress items such as loss of dignity and hopelessness, but not with items examining physical symptoms. The PRISM is a valid measure of suffering in advanced cancer patients. Its Spanish version fits adequately with current definitions and conceptualizations of suffering and may be used in PC settings. Further analysis of other psychometric properties in Spanish-speaking settings is recommended. A. Krikorian thanks Universidad Pontificia Bolivariana for their financial support. All authors thank T. Alvarez, N. Acosta, and the Instituto de Cancerología of Clínica Las Américas for their invaluable help while conducting the study.